We have had mist and fog for a month and it has been “steekit”. So thick there is no horizon and driving feels like you’re on some sort of tarmac treadmill. Charlene captured the listless and somewhat oppressive atmosphere over at her blog – Charlene Saw This. There has, however, been an abundance of wild colour along the verges, in the gardens and across the hills. And the grasses are long enough to lie in and close off the rest of the world. 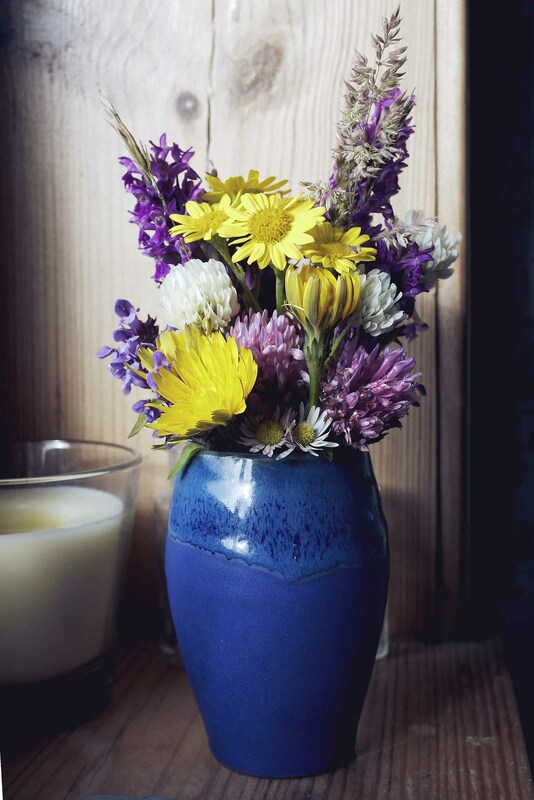 I picked myself a peerie bunch of flowers from the garden to brighten up the windowsill.